Carl Guyer, at a December 12, 2018 SOLF meeting, receives the annual Elaine Beals award from trustee Sally Watters for his leadership in environmental conservation and awareness. Elaine Beals was among the founding members of the Southborough Open Land Foundation. She served on the Board of Trustees of SOLF for many years. She was dedicated to the preservation of the environment and open space, reinforcing her conservation ethic as a member of the Town of Southborough’s Open Space Preservation Commission. 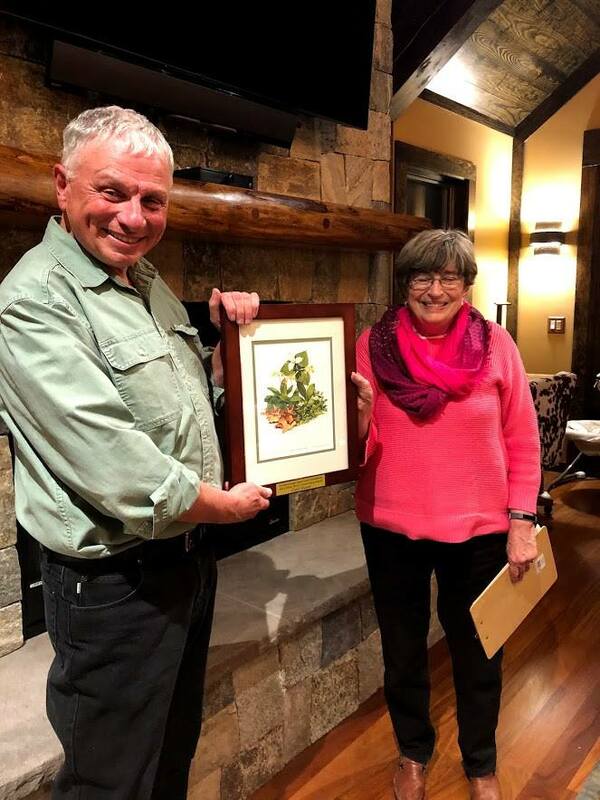 In her honor, SOLF presents the Elaine Beals Conservation Award each year to a local resident who has shown outstanding leadership in environmental conservation.